Home » All Legendary Pokemon » When and How Legendary Pokemon GO will affect Pokemon GO? It has been 1 year since the release of Pokemon GO on July 6th, 2016 and even now it’s still one of the most successful mobile games to date. However, even though the game has released for 1 year including Pokemon from Generation I and Generation II, the legendary Pokemon GO are still nowhere to be found. Players keep waiting and waiting for new update about the legendary Pokemon GO, but still there wasn’t any news until recently. 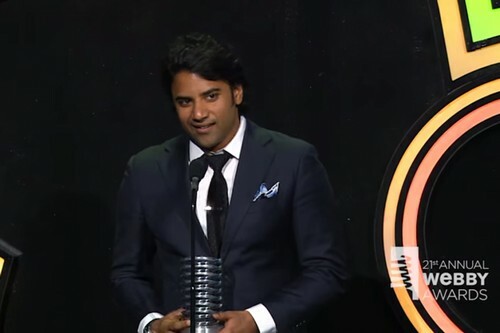 With the latest announcement of Archit Bhargava, head of Niantic’s global marketing, it seems we will finally see legendary Pokemon in the near future. Therefore, it is a perfect time to check out all information we know so far about the legendary Pokemon GO and how will they affect the game. 2. Which Legendary Pokemon will appear in Pokemon GO? 3. How to catch Legendary Pokemon in Pokemon GO? 4. How will Legendary Pokemon will affect the gameplay? Though it is still speculation that he referred to the legendary Pokemon GO update, what he said is highly about the legendary Pokemon GO update in this summer 2017. To back up this speculation, it is said that many dataminers have found many information about the legendary Pokemon GO which will appear in Pokemon GO. For now, it seems legendary Pokemon from Generation I and Generation II will appear first. Other legendary Pokemon from later generations are still not comfirmed yet. From the datamine, it is revealed that the legendary Pokemon GO will be from the Generation I and Generation II, namely: legendary pokemon birds (Articuno, Zapdos, and Moltres), Mew, Mewtwo, legendary beasts (Raikou, Entei, and Suicune), Lugia, and Ho-oh. Articuno is an Ice/Flying-type Pokemon which has the power of Ice. It is the mascot of Team Mystic in Pokemon GO. Zapdos is an Electric/Flying-type Pokemon which has the power of lightning. It can generate harsh thunderstorm and it often causes crackling thunder sound when it flies. Zapdos is also the mascot of Team Instinct in Pokemon GO. Moltres is a Fire/Flying-type Pokemon which has the power of fire. It is also the mascot of Team Valor in Pokemon GO. The trio also makes an important appearance in the movie Pokemon 2000 The Power of One. In this movie, the trio fiercely battled each other and it required Lugia to stop them. Mew is a Psychic-type Pokemon which resembles a pink, cute cat. As small as it may be, this little Pokemon is actually an extremely rare Pokemon which can only be obtained via specific Pokemon events. According to the lore, people speculate that Mew is the ancestor of all Pokemon. It has the DNA of all Pokemon; therefore, it can learn all kinds of moves. On top of that, Mew is an extremely rare Pokemon. Throughout the Pokemon series, it seems that Mew will only show itself to those with pure heart. Mew is also noble Pokemon which is intelligence, merry, curious, and also selfless. 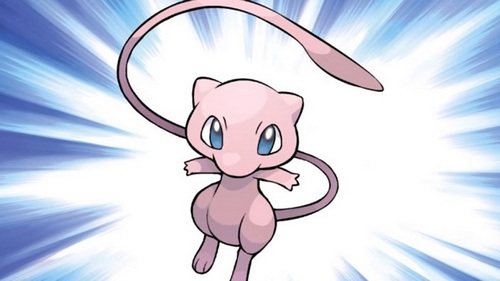 For such a legendary Pokemon, it is highly that Mew will be difficult-to-capture the legendary Pokemon GO, given its history in various Pokemon games. This legendary Pokemon is probably among the most popular Pokemon among fans. 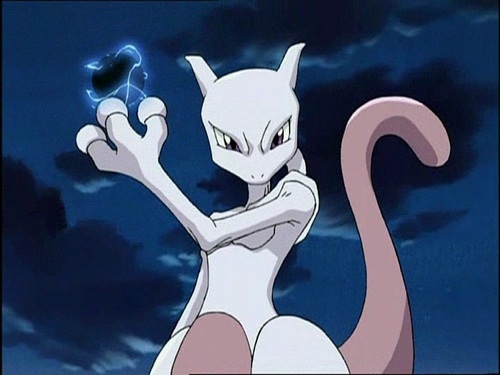 Mewtwo is a Psychic-type Pokemon which is extremely intelligence and it possesses enormous Psychic power. The story behind Mewtwo is actually a brutal one: Mewtwo is an artificial Pokemon created from experiment with Mew’s DNA. Initially, Mewtwo was created solely for battle, this resulting in a Pokemon which is extremely aggressive and near-heartless Pokemon. It can also learn and adapt in battles, making it a fearsome combatant, hence the title “the Strongest Pokemon in the World”. Such a mighty beast will be a worthy legendary Pokemon GO. 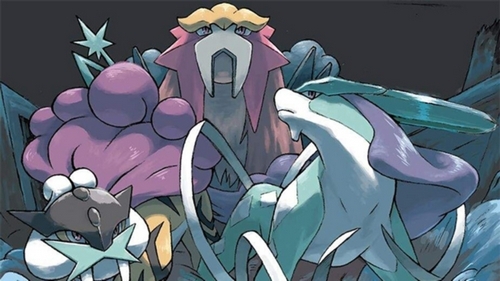 The Legendary Beasts include the three Pokemon resurrected by Ho-oh in the Burned Tower, including Raikou, Entei, and Suicune. All three Legendary Beasts seem to be extremely intelligent and they can understand human. In manga, we can see Suicune communicated with Misty and agreed to become her comrade. Also in the manga, each Legendary Beast set out to find its own worthy comrade in order to save Ho-oh from the sinister Masked Man. Raikou is an Electric-type Pokemon which resembles a yellow sabretooth. It can generate Thunderbolt from the cloud on its back and crackling thunder sound when it moves. In the manga, it chose Lt. Surge as its comrade and then later on, Gold. Entei is a Fire-type Pokemon which looks like a great brown lion. It has the power of fire which is even hotter than magma. In the manga, its fire also has the healing and purifying property which used to save Gold and Silver. It chose Blaine as its comrade and then later on, Silver. Suicune is a Water-type Pokemon which resembles a light-blue panther. It has the power of water and it can purify water. In the manga, Suicune is a serious, but pure-hearted Pokemon which always remain calm even in dangerous situation. Initially, Suicune sided with Misty, but later on it sided with Crystal due to Misty being wounded. In addition, If these three will be among the Legendary Pokemon GO, no doubt Lugia and Ho-oh will also be in the game. Ho-oh is a powerful Fire/Flying-type Legendary Pokemon and it is also one of the Tower Duo Pokemon. It resembles the real-life phoenix, and in Pokemon Generation II, it has the power of Fire, Life, and Reincarnation as it resurrected the Legendary Beasts in the manga. 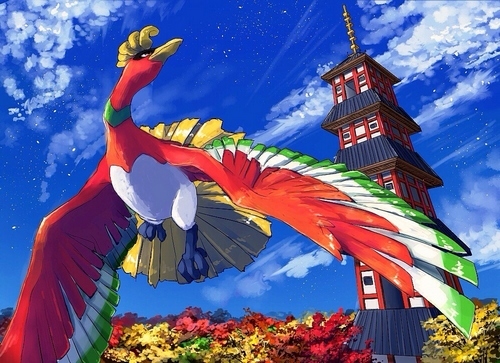 While Lugia referred as the “Guardian of the Sea”, Ho-oh referred as the “Guardian of the Sky”. In the manga, the Masked Man, a.k.a Pryce, controlled Lugia and Ho-oh caused great havoc. Eventually, Ho-oh and Lugia were freed from Pryce’s control. Since Ho-oh creates rainbow where ever it goes, it can be possible that we have to wait til rainbow appears if we want to catch it in Pokemon GO. Lugia is a powerful Psychic/Flying-type Legendary Pokemon and it is one of the Tower Duo Pokemon, besides Ho-oh. It resembles a draconic beast which has extremely high intelligence and it can communicate via telepathy. 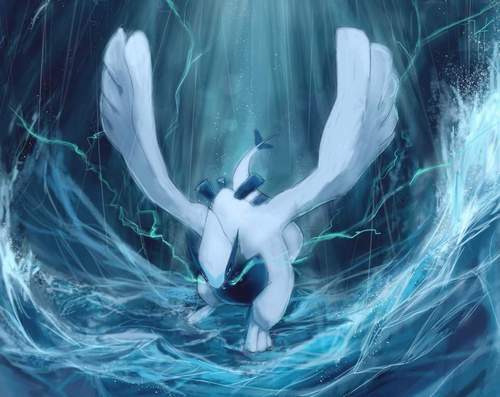 Lugia often referred as “Guardian of the Sea”, whereas Ho-oh called as “Guardian of the Sky”. This mighty beast is also the master of the Legendary Birds. In Pokemon 2000 The Power of One, it required Lugia to come out in order to stop the fierce battle between the three Legendary Birds. Since Lugia is the “Guardian of the Sea”, let’s hope that we don’t need to venture at the middle of the sea to catch it in Pokemon GO. 3. How to catch the legendary Pokemon GO? According to the information from datamine, these legendary Pokemon Go won’t have Capture Rate. If this is true, then it means that players won’t be able to catch legendary Pokemon via normal mean. But that doesn’t mean that we can just catch these legendary Pokemon easily every time we see them. It’s highly that players will have to pass particular events and they will receive the legendary Pokemon as the reward. These events can be varied, and we still have no idea how these “legendary Pokemon events” will play out. So we can hope to see something cool and extraordinary. Other speculation would be each Team (Team Valor, Team Instinct, and Team Mystic) will have its own respective legendary Pokemon. However, this will put lots of limit to the players, and also, this is mostly applicable for the legendary birds. For the rest of the legendary Pokemon, it seems not to be suitable. 4. How will the legendary Pokemon GO affect the gameplay? According to an interview with a Brazilian newspaper O Globo, Mathieu de Fayet, Vice President of Niantic’s Strategic Partnerships, implied that teams and gym feature in Pokemon GO will heavily rely on players’ interaction in real life, just like what they did with their other game Ingress. He also said that PvP feature will finally make an appearance in the game. However, with the legendary Pokemon, there is another big question: how will the legendary Pokemon GO affect the gameplay, particularly the PvP? So far, we can only wait and speculate. For example, there can be a limit system in which a player can only carry a limited amount of legendary Pokemon. 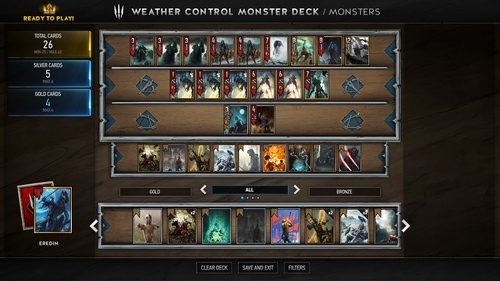 This limit system isn’t a bad thing if we consider the upcoming Gwent the Trading Card Game. In Gwent, there are Gold cards which are extremely powerful, but players can only have a limited amount of Gold cards in one deck. Turned out, this limitation system works quite well in balancing and strategy, so it can be also a good system in Pokemon GO. Other concern would be how the legendary Pokemon GO events will play out, since these events are mostly likely to come true. If we consider Fayet’s answer about the teams system rework then they may also use Ingress’s event system for Pokemon GO. For example in Ingress’s, there is an event system called Anomalies which involving in players fighting over a particular locations during a specific period of time. For such a big game like Pokemon GO, these kinds of events aren’t impossible to make. And that marks the end of this article! Have fun and stay tune for more Pokemon GO and other Pokemon HD wallpapers in the future! The Ultimate List of Legendary Pokemon and Where to find them? Legendary Pokemon Sun and Moon and Where to Find Them?